The FaxOut service gives you absolute freedom and control over the way you send faxes. It is now possible to fax any local or international fax number, from anywhere in the world and using any emailing programme. Fax machines and fixed phone lines are unnecessary; in fact you won’t even need to be in the office in order to efficiently manage all of your faxing tasks. 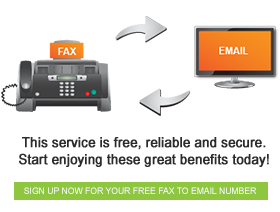 Our unique FaxFX Fax Printer further streamlines this process, and is easy to download from the FaxFX website. Faxes can be sent to multiple fax numbers at the same time, and can be reviewed prior to sending them off. Sending faxes from email couldn’t be simpler. All you need to do is open your usual email programme and enter the recipient’s fax number (followed by @faxfx.net) in the “to” field. The body of your email will serve as a cover letter for your fax, and giving the fax a subject will allow you to easily locate the fax if you should wish to find it again in the future. Include the document you would like to fax as an attachment to the email and click “send”.